Despite on-going issues I’ve been having with fatigue and general blahs, we’ve decided to go for one more multi-day Ingo Schultze extravaganza in Southern Germany. Claire is running well and injury-free. I’m almost running. So we’ll see. At least we have until September to prepare. Well, our news is sad, and not a little depressing. With less than a week to go until the race gets underway, both Claire and I must abandon our Transe Gaule 2016 running plans. We have both been dealing with a number of medical issues - Claire with digestion (oesophagus) problems, plus hip and leg pains; me with various surgery issues, plus knee and leg vein problems. The 6-day Étoile Savoyarde race went OK for me last month, but running for 13 more days could prove difficult and dangerous. Now that we're both 61, we've decided with great regret not to take risks with our health. We still plan to take the Plymouth ferry to Roscoff on Sunday to see everyone at the start on August 9th, and we will also fly to Gruissan to see the finish on August 27th, but we will return to England in between those dates for some more surgery. We're both very disappointed that we will not be part of the TG peloton once again, but will be with the 50 runners in spirit as they wend their way from the north to the south of France. Getting old really isn't loads of fun, we're finding. We're consoling ourselves with a trip to Lake Tahoe in October where we plan to run significantly shorter distances around the lake with some Austin friends. 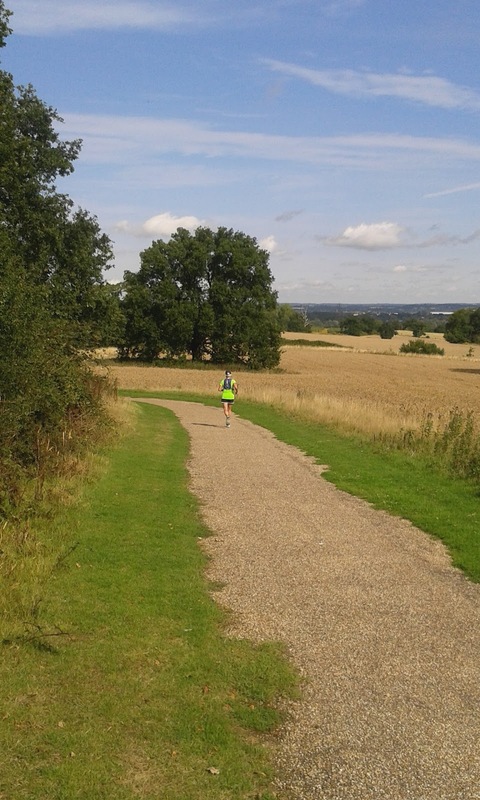 As one final test of the ageing legs before heading off to 19 days across France, Claire and I ran a 50k trail race yesterday in the Chiltern Hills in Buckinghamshire. The weather was warm and sunny, the course was fairly dry but hilly, and our fellow sufferers were a friendly bunch. I managed to complete the course with only one clumsy pratfall while dismounting one of many stiles. That's about my average. The good people at XNRG who put on this race do a wonderful job. 5-star. Three weeks now remain until the start of Transe Gaule. I am beset with the usual strange mix of excitement and dread, I suppose. One last push, before a life of greater indolence. "I cannot say enough good things - or even effectively describe - the wonderfully French ambience of this race. The Codet family - Michel, Martine and Gilbert - have through this 6-day race created a beautiful model of cooperative human existence. Everyone supports everyone else, everyone works hard, everyone smiles and greets one another frequently and genuinely, everyone applauds minor victories and consoles minor setbacks. Food is fresh, toil is honest, pain is at times raw, and praise is earned and deserved. This is how all of life should be. We have all been privileged to experience it this week. I thank the Codets again deeply and sincerely, as well as the many volunteers and competitors." Four Alpine days now done, and two more to go. The Savoy weather has - somewhat unfortunately - taken a turn for the better, so from about 10am to 2pm we broil gently in the mountains under a fierce sun. Tomorrow's forecast is for 33C (somewhere north of 90F, I think). My skin has already darkened a few shades. 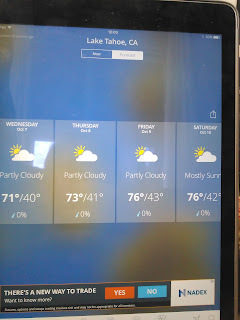 But this is on balance better than the cold, foggy, rainy edition of 2014. Only problems to report so far are one massive blister and the imminent loss of a toenail. Nothing out of the ordinary then. The huge climbs and descents are the cause, but my legs have held up well all week. I am looking forward to a rest from all this crazy running on Sunday. The food, drink, race volunteers and companionship continues to excel. Two very hilly days of Étoile Savoyarde done. The weather - and thus the scenery - has been spectacular. My legs have held up excellently, due in large part to my slothful yet sensible pacing. Stage 1's 55km took me 6hr45. Today's longer, hillier 65km Stage 2 required 8hr13. But that's all good, as I "only" have a modestly steep 55km tomorrow. Having Claire here as my soigneuse has been a treat. She does a 25km run each morning, after waving us off. Then she gets the gîte in order and well provisioned, before returning to the race HQ, and meeting me at the finish. Very much appreciated, as she feeds me milk & protein powder, plus beer and a late lunch. The atmosphere here in the village of Myans is delightful. All forty or so runners are courteous and friendly. The family who organise the race - the Codets - are charming and hospitable. It is a privilege to be here again. On Saturday, despite the chaos and confusion following last week's Brexit referendum vote here in Britain, we are flying off to another part of the current EU - France - while we still can. Our pounds and our pensions have suffered this week; I still feel European, only poorer. And increasingly concerned about the future. Running a race will be a good way to escape the mess of UK politics for a week at least, and to help prepare for crossing France again on foot this August. The goal of the trip is to complete a 6-day, very hilly 352km (220 mile) stage race called L'Étoile Savoyarde for the second time. In 2014, I had no "sherpa" for this event, and stayed alone in a shabby, noisy hotel. This year, I've upgraded, and will be staying in a comfortable gîte with my coach, dietician, running partner, and masseuse...Claire, of course. Each of the race's daily stages start and finish in the delightful Alpine village of Myans, and the event is hosted by the wonderful Codet family. My objective is to complete 6 days feeling healthy and without injury, while enjoying spectacular scenery and plenty of delicious Savoy food. Some rain is in the forecast for later in the week, but hopefully Stage 1 will give us clear views of the mountains this coming Monday. So just one final 9-mile training run tomorrow before we head to the airport. Thankfully the waiting is almost over. It's nearly showtime! My first Transe Gaule was in 2005, 11 long years ago. Back then, I was younger, fitter, faster, and very well prepared, with a number of 100+ mile training weeks under my belt, and a 3hr 11min spring marathon to my credit. But in fact I only just made it to the finish, after developing terrible shin swelling and pain after the first five stages. That's what running more than 250 miles a week does to you, if you're not careful. Now at 61, to have any chance of completing Transe Gaule, I need to approach the race in a different way. I'm experimenting with a new self-devised conditioning regime this year. Every morning, I run exactly 15km - not longer - over a route involving many decent climbs and descents. I'm striving to keep my heart rate, breathing and effort down in the comfortable range for the duration of each run. My theory is that if I run daily at the same level of intensity, my body will condition itself to that effort and happily comply, instead of complaining bitterly and breaking down. And it will avoid injury on the first set of hills I encounter on the race in surprisingly rolling Brittany. So ... no speed work for me, no long runs, no track workouts, no steep hills. My goal is to finish the race uninjured, nothing more nor less. The results so far? Very enjoyable runs. Zero injuries. Each day feeling stronger and "easier". The weather has been very favourable for Austin in May - cool and not too humid. My coach/running partner/spouse is concerned that I'm not running long enough. She may be right. But I'm healthy, positive and uninjured, and that's very important. 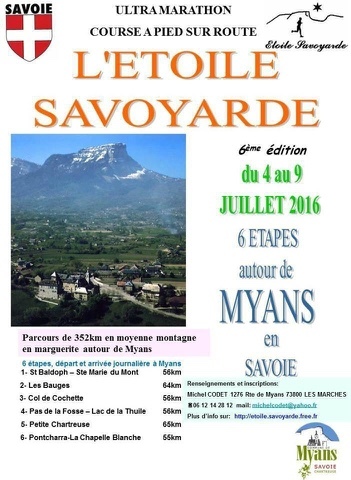 To test out my new approach before Transe Gaule, I am running a 6-day race in the French Alps in early July, the Étoile Savoyarde. Daily hilly stages averaging 37 miles should test my preparation and conditioning. Each stage starts and finishes in the village of Myans. It's a beautiful place, with wonderful French ambiance, food, scenery and organization. "Slowly, slowly" will be my mantra. We'll see. Every time we turn on the news this year, it seems that someone famous has died. David Bowie, Keith Emerson, George Martin, our old and dear friend Jack O'Brien, and lots more. It's a worrying trend. There's a list on wikipedia if you want to check. So, as we ourselves decelerate into old age and infirmity, we are consoling ourselves with three excellent trips to France this year. We will spend time with old friends, hopefully finish what was previously left incomplete, and cover a large number of beautiful running kilometres before it's too late. First up, Claire is running the Paris Marathon on April 3rd. Not since 1998 have we returned to this race where she ran her second full marathon. (Amazingly this Paris edition will now be the 82nd time she's run a marathon or longer distance race.) Our Austin friends Leah, Chris and Carol will be there too. It is a great event, right through the heart of a spectacular, historic city. We're staying close to the start and finish lines, so logistics for sherpas (in this case Leah's husband James and me) should be simple - watch the start, drink wine, spectate at halfway, eat and drink some more wine, watch the finish, and then repeat the previous step with tired but happy spouses. The first week of July brings a return for me to a great 6-day race in the Savoy Alps close to the Swiss and Italian borders. Called L'Étoile Savoyarde (Savoy Star), each day starts and finishes in the beautiful mountain village of Myans. Each day involves different routes covering roughly 40 miles of serious hill-work, but the scenery is sublime (providing the weather cooperates), as is the food and hospitality provided by organisers Michel and Gilbert Codet. We will be renting a little house near the start/finish. This time, it is Claire's turn to sherpa for me. Luckily for her, we're staying right next to vineyards and wine tasting cellars, so more simple logistics! Then last but by no means least will be the epic Transe Gaule. Most of our August will be spent running 19 stages across France, from Roscoff on the English Channel to Gruissan by the Mediterranean. This will likely be our last attempt at such a tough physical and mental challenge. I made it (just!) once before in 2005, in what proved to be the only edition where 100% of the runners finished. In 2014 Claire made it one third of the way before having to abandon with injuries, so this is her shot at redemption. We have booked a hotel room - facing the sea and the finish line on the beach - for 5 nights after the race is over. That will hopefully be the "carrot" needed to get us to the end. Our friend Carolyn first. She ran the Triple Marathon for her fifth time this year, and broke her previous bests by enormous margins. 4:51, 4:47 and 5:00. A total of 14:38, over 40 minutes quicker than her previous PR of 15:20. 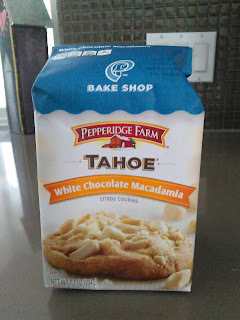 She ran splendidly throughout, up and over those long Tahoe hills. I'll put it down to a few things: great preparation, improved nutrition, experience of 3-day races, and most importantly a huge amount of determination to improve. I take great but undeserved pride in her success, having introduced her to this multi-day folly in the first place six years ago. Her improvement since her first attempt to conquer the 3-marathon-in-3-days challenge has been nothing short of remarkable. Next, Claire. Having scanned back through the results of previous editions of the Triple, I cannot find a single faster performance by any woman over sixty. 5:01, 5:03 and 5:01. This is less than 2% slower than her previous completion in 2009, 6 long years ago. Always nervous pre-race, Claire always manages to perform brilliantly as soon as things get underway. Running three 5-hour marathons on a hilly course is commendable for any runner. She's super-strong and healthy at present, and I couldn't be prouder of her grit and determination over these three days. Lastly, me. Things were looking pretty tenuous in the week before I was due to set out on my epic 72-mile overnight tour of the lake. I'd prepared well, and managed a couple of great weeks of final training in Austin. But then suddenly shin pain had started in my weaker right leg. Taping, icing and compression helped to ease the shin problem, but seemed to drive the varicose veins in my calf crazy. Two days before the start, the three of us went to Spooner Lake for our traditional pre-race shakeout jog. I could barely hobble the 2-mile trail around the lake. Flexing my foot was agony. Not good, and quite worrying. Then two days of crewing for Claire and Carolyn (just standing around and driving with my right foot) made the pain and swelling worse. I knew it was a lost cause for me. At an aid station yesterday, I ran into a couple of friendly medics who were there to support the Triplers. As we waited for runners to pass by, I showed my bulging veins to the doctor, who advised me to go to get my leg scanned straight away at the local Emergency Room, in case of serious clot issues, especially before flying home again next week. He ran into me again at the finish line, and cornered me while I was with Claire and Carolyn, re-emphasising the need to get seen. It turns out that this was none other than Dr Orr, a well-respected orthopaedic surgeon who works with the US ski team. When I reached the local hospital, I was warmly greeted by very friendly nurses and doctors; Dr Orr had kindly called ahead to advise them of my impending arrival. An ultrasound revealed thrombophlebitis - "the greater saphenous vein in the right mid to distal calf is thickwalled and only partially compressible in the area of pain, but no evidence of deep vein thrombosis (DVT)". So, in English, painful but not serious or life-threatening, and so after presenting me with an aspirin and an eye-wateringly large bill, I was discharged. Thank goodness for medical insurance. Hopefully things will settle down in my leg now. I have an enforced period of rest for a few weeks as my next hernia repair is scheduled in 9 days' time. Getting old and falling apart isn't really fun, but - as they say - it does seriously beat the alternative. And there are many worse places in the world to idle away a few days than along the shores of Lake Tahoe, waiting for your tired but happy and successful athlete friends. The last two weeks of daily Austin running (75 and 50 miles) had gone really well. I was feeling comfortable running slow, up and over lots of hills. Perfect Tahoe simulation. But now my right shin/ankle has finally and irritatingly decided to start complaining. Sheeesh. "Tapering" before an event is never fun; popping ibuprofens and lying on the couch with a bag of ice on my gimpy leg certainly doesn't enhance the experience. The next seven days without much running will be a true test of patience. It's a shame I don't have that much. It's now five weeks until our races in Lake Tahoe. Claire and our Austin friend Carolyn are running the venerable Tahoe Triple - three beautiful marathons in three days all around the edge of the lake, partly in California, the rest in Nevada. I'm crewing for them for the first two marathons on Friday and Saturday, then setting off on the Midnight Ultra to run the lake in one go - 72 miles - starting at 9pm on Saturday night. Claire and Carolyn will start their third and final marathon 11 hours later at 8am. If things go according to plan, we'll all finish at the South Lake Tahoe waterfront at roughly the same time on Sunday. What are the chances?! We ran short but daily on some beautiful country trails while camping in France this summer, and since then the English summer has been a great one for running - cool and quite dry. We've managed to get our weekly mileage up into the 60-80 miles range without getting (a) injured, (b) ill or (c) bored. In England, we've found a new "hilly" route which takes us over some good inclines through pretty Lea Valley farmland. Seven miles from our base - our boat Purple Haze - is a public toilet with water, so we are able to adjust our fluids at a convenient spot during each run. Claire's injury problems have gradually subsided, and her sciatic hamstring is bothering her less and less each week. My only misadventure occurred two weeks ago; I managed to trip on a boat's mooring pin and landed squarely on my ribcage on top of the water bottle I was carrying. Since then, sneezing has not been any fun. But that's it for the doctor's report - all systems go for Tahoe. Twelve weeks from now, we head to Lake Tahoe for our fourth visit/running pilgrimage. When I ran the Triple Marathon back in 2003, it was my first attempt at stage racing. It proved to me that I could actually run long distances "back to back", and taught me to start conservatively. Tahoe is a spectacular place to run, a beautiful deep blue lake right on the California/Nevada border, and the series of races has a very fine, laid back vibe. This year for the second time, I'll be taking part in the Midnight Express Ultra 72, which starts at 9pm and finishes 72 miles later at the same point on the edge of the lake. It is surreal running through a cold, inky black, starry night all alone, and then finishing the last 26.2 hilly miles of the race with 2,000 other Lake Tahoe Marathon runners. I am chronically slow these days, but today's longest yet training run resulted in no aches or pains. Sixty years old now, and still shuffling forward. 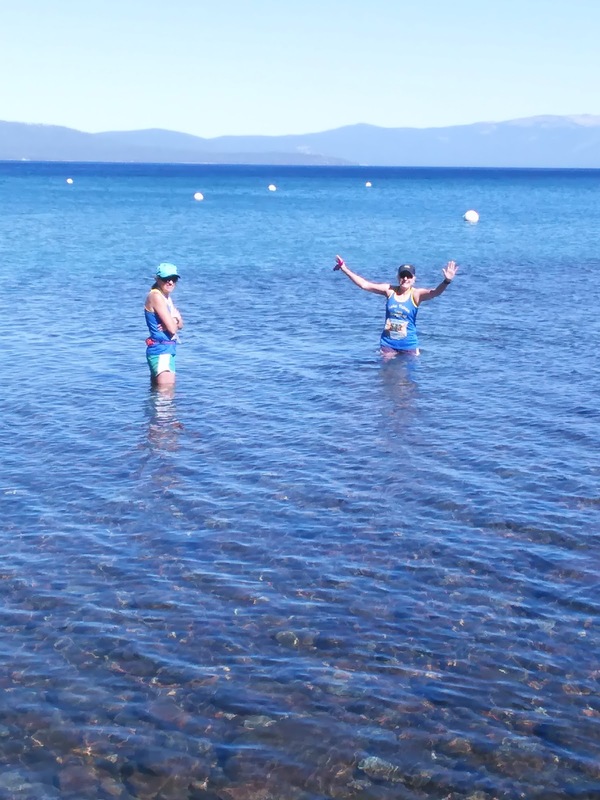 Claire is taking on the Tahoe Triple Marathon again for the third time this year, and will be joined by our Austin Rogue Running friend Carolyn. I will crew for them for their first two marathons, before putting on my Hokas and heading off into the night. For me, running mojo comes and goes. Sometimes I can take it or leave it. Right now, I'm really, really enjoying it. Nice weather is important for me; I'm not much interested in suffering these days. But I'm also inspired and driven by the prospect of running across France once more in 2016, just as I did in 2005. When the Tour de France is on TV (as it is now), I catch odd glimpses of some of the villages and towns we have - and will - run through. It's a wonderful motivator, and I really can't wait to do it again. Much of this year so far has been devoted to my brief political career, with meetings, emails and leafleting ad nauseum. I enjoyed it greatly, but now the general election is past and sadly lost, it is time to move on, and hit the athletic reboot button. I spent 15 hours this Saturday in Houston, Texas, watching Claire swim, bike and run through the 140.6-mile Ironman distance. It was great supporting her tremendous efforts, but it really made me want to get back out and do something too. Being a spectator is way too stressful for my liking. So we have lined up a few events to get the mojo working again. Training started today with a slow, gentle 5-mile run in Austin. I loved it, and can't wait for tomorrow's run...always a good sign. What happens when a runner attempts to run 40 hilly miles a day for many consecutive days? In my experience, after 3 or 4 days, problems often develop in either the achilles tendons or the lower shins. You can spot the achilles tendonitis suffers as they limp up the hills; shin suffers can be seen tottering down hills as if running on hot coals. Once these problems have set in, there are really only two choices - suffer or stop. During Transe Gaule 2005, I spent most of the last two weeks of the race across France wracked by shin pain, known medically as ACS (Anterior Compartment Syndrome). The pain was most intense during the middle few days of the race, from the Loire to the Lot. Anti-inflammatories - now out of vogue big time due to the possibility of liver damage - was all I had to look forward to on some of those benighted days. For this year's edition of Transe Gaule, it was Claire's turn to suffer from ACS, garnished with an uncomfortable sprinkling of blisters and toenail infections. After four days, her usually sprightly stride was reduced to an agonising, tear-filled hobble. Even her walking was reducing to a death march crawl. It was very hard to watch. The problem with muscle injuries is that in order to protect itself from further injury the body stops responding to brain instructions to keep moving. Try as she might, continuing was not an option for her, as she was finding it increasingly difficult to finish each day's stage inside the cutoff time. Her brain said run, but her body could barely walk. Of course, abandoning a huge, long-strived for goal like Transe Gaule is a sad and gut-wrenching moment. Race director J-B, his team of volunteers and her fellow runners were hugely kind and supportive. After we left and returned to England, watching their progress to the Mediterranean was a daily bittersweet reminder of what should have been. But hey, this is how it works out sometimes - I still couldn't be prouder of my cankly wife. "The morning of August 12 is approaching. On this date, several minutes after high tide, Monsieur Joseph Séïté, mayor of Roscoff and starter of the race since its very first edition, will lower the Breton flag for the 11th time, and 51 runners will set off on this latest crossing of France, towards the Mediterranean sea and Gruissan-plage. The race is 1192 kilometers ~ 740 miles long in 19 stages (the average daily distance except for the 19th stage is 64 kilometers ~ 40 miles). Each starter is attempting to win a finisher's star for completing the longest footrace in France. 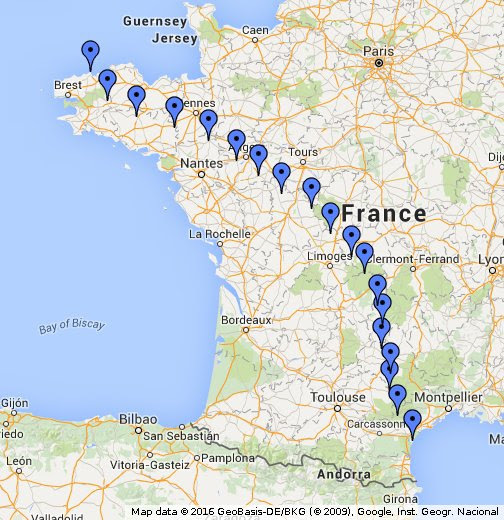 29 runners are attempting their first Transe Gaule; 22 have already crossed France at least once. Thirteen women participants represent a record number of female entries (the first edition in 2001 was 100% men!). The first five stages cross Brittany and stop at Plounévézel, Pontivy, Guer, Châteaubriant and St-Georges-sur-Loire, before crossing the Loire at Chalonnes-sur-Loire. The race then passes through Anjou, Limousin, the Auvergne and Languedoc-Roussillon before arriving at the finish line in Gruissan-plage. This year, four continents will be represented: Europe (Germany, Netherlands, Italy and France), America (USA), Australasia and Asia (8 Taiwanese, 1 Malaysian and 1 Japanese runner, Hiroko Okiyama, who participated in 2005 and 2008). The runners' average age will be 53. The oldest is 76 (Texan Don Winkley) and the youngest 21 (Angel Pallaruelo, for his second participation - last year he was the race's youngest ever finisher)." I will be attempting to Facebook and blog on Claire's behalf as the race progresses from August 12 - 30. Good luck to her and all the other runners and volunteers. It will be an unforgettable experience. Things have finally drawn to a close. Last night's award ceremony was followed by a strangely Texan, delicious BBQ, surrounded as ever by aperitifs, wine, a cheese course, superb patisserie, and staggeringly strong post-prandials. At 7 o'clock this morning, we were back at it again with freshly baked (of course!) croissants, pains chocolats and homemade preserves. I cannot say enough good things - or even effectively describe - the wonderfully French ambience of this race. The Codet family - Michel, Martine and Gilbert - have through this 6-day race created a beautiful model of cooperative human existence. Everyone supports everyone else, everyone works hard, everyone smiles and greets one another frequently and genuinely, everyone applauds minor victories and consoles minor setbacks. Food is fresh, toil is honest, pain is at times raw, and praise is earned and deserved. This is how all of life should be. We have all been privileged to experience it this week. I thank the Codets again deeply and sincerely, as well as the many volunteers and competitors. One final photo from last night...four finishers from Trans Europe 2009 - Roger Warenghem (France), Christian Marti (Switzerland), me, and Jan Nabuurs (Holland). We travelled nearly 3,000 miles together over 64 long days, from Italy to Norway. I salute you. Despite being "only" 54km, it still took me more than 6 hours of running to complete today's final hilly route. But I find myself done - uninjured, healthy and happy - so nothing much else matters at this point. Tonight's final dinner will be replete with lots of wine, awards and French kissing (no, not that kind). Last night's duck confit, praline brioche dessert and champagne set the bar pretty high, but I'm confident that tonight's repast will be equally wonderful, judging from the superb paella I just devoured post-race. Protein shake and accompanying litre of milk. Delicious, nutritious. Watermelon. Ditto...well, except not quite as nutritious. Walking poles. Super useful today as we climbed three cols and gained 1800 metres of elevation. I caught several poleless competitors during these super long climbs of an hour or more...although they did often catch me up on the subsequent downhills. Course profile. Showing said cols and altitude gain statistics. Pretty handy. Beer. For carboloading and rehydration, of course. Weather was markedly better today, with only a couple of brief showers and good running temperatures. There were even a few beautiful views to ogle. (It has apparently been snowing this week in nearby places like Tignes and Val d'Isère. Toboggan sales are soaring in July, but summer alpine pursuits like mountain biking and canyoning are taking a beating.) Given the climbs and descents, it was a tough 65km (40 miles), but it always felt good to know that tomorrow's final stage is almost upon us. 187 miles run so far this week, with nearly 4 miles of climbing and descending. That would explain why there's a whole lot of hobbling going on at race HQ. This morning's breakfast ended with copious physio taping for those stricken with shin splints, a common malady during hilly stages. On a clear, sunny day in Summer, this is how the Savoy Alps look - green fields, vines, orchards, snow-covered peaks off in the distance, and dramatic hills ascended and descended with the liberal use of hairpin bends. Today, it didn't look at all like this. A cold, sometimes driving rain persisted all day, reducing visibility to a couple of hundred yards at best. The sublime views were transformed into a grey, misty haze. Unfortunately, more of the same (though marginally warmer) weather is projected for the final two stages. But so it goes with mountain running. I tried to keep my hands warmer today by donning a pair of latex surgical gloves from the first aid kit and putting my own gloves over them, but no joy. They just seemed to fill up with icy water; not even a "wet suit effect"! The cycling jacket has done sterling service all week, and my compression socks over heavily vaselined feet have resulted in zero blisters - a great result considering the very soggy underfoot condtions. I spent much of the day today being chased up and down the many long hills by my friend Viviane, only later to discover that she had arranged a rendez-vous with her family at the last aid station, and didn't want to be late. We managed to make it just in time. Her son Tim ran the last 8km with us, and did exceptionally well to keep up with his very in form mother. Two days to go. A huge amount of climbing is on tomorrow's menu. More than 1800 metres of it. Gulp! But again...only two days to go! Today's course was a slightly shorter and less steep 59km (37 miles). Lots of legs appeared tired today after yesterday's big climbs combined with a cumulative 3-day mileage of 110. It rained heavily and almost continously, and temps never rose north of 60F (16C). I was glad to have gloves, long-sleeved shirt and waterproof top, and never took anything off. Conditions weren't so bad for the runners, but ghastly for our ever-cheary aid station volunteers - super folks. My legs and energy levels have held up well. I'm clearly not setting any records, but I make steady progress each day and finish with something left in the tank. This is a first-rate event with great logistics and courses, thanks to the Codet family and its support team. Chapeau to them! After running 42 miles in more than eight hours in the rain and cold, while climbing and descending a vertical mile, this was my first reward - pickled cucumbers, Le Puy lentils and sweetcorn salad, washed down with milk and a cookies'n'cream protein shake (thank you, Claire and Tina, for getting me hooked on this delicious recovery drink). My legs feel very tired and beaten up after running 70 hilly miles in two days. All those runs along flat towpaths didn't really prepare me sufficiently. But the good news is that I still feel healthy, strong and uninjured. Tomorrow is thankfully a slightly shorter, flatter stage. And at its end, we'll be halfway done. OK, it's now officially siesta time, before the next groaning spread appears in less than two hours. Well, that wasn't so bad. In fact, it was pretty bloody good! Especially after the dire night of violent storms that preceded our 7 a.m. start. Weather ~ perfect except for some humidity early on. No wind, no rain, only a little sun and fog at times. Course ~ brilliantly marked. (I love the French word flêchage - literally, "arrowage" - to describe course markings.) Insanely steep uphill for one 11km stretch; less insanely hilly for the other 40km. Legs have a rather concretey feel now, but worth the mountain views and the wine-growing countryside. Aid stations ~ great volunteers (called by another great French word, bénévole), lots of everything needed when we needed it. Post-race ~ beer, 3-course French lunch, happy people. Couldn't fault it. No injuries; shoes, clothes and hydration system (OK, a water bottle and an overpriced plastic bag with a tube sticking out of it) all worked perfectly. I ran parts of the course with very nice folks; some had run this race before and some were stage race novices. I was keen to stress that I was saving my legs for subsequent stages, but I did get slightly carried away from time to time. Jean-Philippe, Frédéric, Christophe, Maurice ~ they all were good French company and seemed to forgive my occasional grammatical howlers. Maurice and I finished together happily in 10th place, averaging 9.75km/hr ~ not bad for two old geezers on a beyond-hilly course. Tomorrow's stage is 10km longer than today's and I suspect even hillier. But as they say: "Tomorrow can wait." Sleeping and eating is all I have to do now. The morning was spent driving the the first stage's course. 15km of rollers, then 10km of OMG uphill, then another 25km of serious uppy-downy stuff. This will be interesting! My strategy of uninjured undertraining will be sorely tested. The low tech start/finish banner is in place, just in front of the municipal rubbish bins. Briefing done, race numbers issued, rosé consumed, and now rain and thunder is kicking off. Allons-y! I find myself chilling in a shabby, non-chic hotel room in the Savoy region of France, preparing for a 6-day stage race starting and finishing each day in the lovely village of Myans. After being dropped off at London Stansted airport - where they actually have the unmitigated gall to charge you £2 for the privilege of being let out of your car at the kerb - the journey to Lyon was enlivened only by a humorous chat with the security screener. Him: "Have you got anything sharp on you?" Me: "No...(pause)...except for my wit." Him: "Well, you're at the wrong airport then. These people here are all witless." The flight passed without major incident, apart from being within coughing distance of a French 2-year old with the worst case of measles I've ever seen. After a little detour to photograph the village church, I managed to find the race HQ, and discovered friends Vincent, Nadine and Xavier already encamped outside the salle de fêtes. The temperature is high today and the sun is shining, but rain is in the imminent forecast. Tomorrow I'll score 1 for shabby hotel, zero for small tent camping. Tomorrow will be a rest day, with pre-race greetings, introductions, instructions and welcome dinner in the evening. Then off to work on Monday with a hilly 52km (32mile) prologue. All good, except for a rather irritating sore throat...c'mon, Strepsils! Belgium - the "finish line"
Running with our friends was wonderful. No stress about time, pace or distance. Coffee breaks and lunch breaks along the way, as the mood and thirst/hunger strikes. The Belgian coast is impressively flat and bike-friendly (ergo runner-friendly too!). Would we do it again? Absolutely! A varied, mostly enjoyable day of running from De Panne (near the French border) to Bruges (near the Dutch border). With various detours we managed 40 miles with Jenni and Anneke - along the coast and through the cities of Nieuwpoort and Ostend (where lunch was shrimp croquettes and salad washed down with two cokes). The last 15 miles were fairly gritty along the busy N9, but entering the old historic city of Bruges was a splendid moment. Our hotel was harder to find than it should've been, but an eventual soak in a tub after a beer made all right with the world. Dinner was delicious - the Belgians do great food. Full marks for their shrimp pasta and profiteroles. Today's Dover-Dunkirk ferry journey deposited us in possibly Europe's least attractive industrial park, but as soon as we crossed the border out of France, things magically improved - green fields, cows, that kinda thing. We checked into a sparkling new Ibis hotel in De Panne just over the border (so astonishingly pristine - two women were actually sweeping the underground parking garage floor), and soon met up with our dear Dutch running companions, Jenni and Anneke. De Panne is a tidy, well-heeled seaside resort with nice beer and restaurants. Tomorrow we will run about 60km (37 miles) to Bruges via Nieuwpoort and Ostend. On Saturday, our route is not yet determined, but we will aim to finish in Knokke-Heist where we will hope to board Belgium's superb Coast Tram back to De Panne. I sadly had had to dispose of my Pony Express race shoes in a Burger King waste paper bin two weeks ago, after yomping through many miles of New Forest mud. But it turned out that I had been the speediest in the pre-OAP age category. And so now their pristine, Vibram soled, clementine coloured replacements have arrived, as if by karmic magic. K) when you have the pleasure of beer and chilliburgers in a pub afterwards. Only three things in the negative column would be the day 1 mud (had to throw away my shoes last night as they were finally beyond hope), gym snoring (well, that did used to be me, so I suppose I can't complain) and falling hard after 1/2 mile on day 1 resulting in bloody scrapes and a sore hip (eejit! ).